When news broke out that Dr Dayan Jayatilleka was nominated by President Maithripala Sirisena to be Sri Lanka’s ambassador to Russia, the immediate reaction for those (still) loyal to the President and/or the Prime Minister were thrilled. This is because Dayan was widely seen as a staunch backer of the former President and more crucially his brother Gotabaya. Gotabaya Rajapaksa has not announced that he would contest the next presidential election but the Yahapalana regime or rather some of its key spokespersons are certainly treating him as the man to beat. So when Dayan ‘switched camps’ as the nomination indicates, it was probably seen as a move that weakens the principal opponent. Dayan himself has been critical of Gotabhaya after the last ‘Viyath Maga’ show, arguing that his economic policies were no different to those of the United National Party (UNP). So thrill, as such there is, can be justified. Now it seems that other sections of the yahapanala camp are upset by the nomination. A group of so-called civil society representatives have written to the Secretary to the High Post Committee of the Parliament, urging him to reject the nomination. Two things need to be clarified before we proceed. First, the above contention that this letter was authored by Yahapalanists needs to the substantiated. The contents of the letter not only hurrahs the Yahapalana ‘change’ but is absolutely uncritical of the present regime, its incompetence, corruption and even subversion of the ‘yahapalana’ doctrine. Secondly, this is not a defense of Dayan, because a) Dayan can defend himself and does not need any help from anyone, and b) this is less about Dayan than about the intellectual poverty of the signatories (many of whom are actually academics! ), their undisguised malice and utter ignorance about international relations. A possible third note would be that Dayan and I have had lengthy debates in the print media on two occasions. We disagree vehemently on several issues although at times our views have coincided. With respect to this nomination, only the following questions need to be asked: Are all other ambassadors more competent than Dayan? Did these signatories object to other such appointments, for example the appointment to London of the Prime Minister’s aunt, considering the cardinal principles of good governance that they seem to espouse? If Dayan’s track record as per political loyalty is an issue did these signatories howl in horror when the President brought into Parliament through the National List people with similar loyalties (and this after they had been rejected by the people in an election!)? Now, to the letter. The signatories claim, ‘under the Rajapaksa regime (when we) experienced unprecedented levels of violence targeting civilians, civil society, media and other dissenting voices.’ There was violence, certainly, but ‘unprecedented’? Surely, these ladies and gentlemen are old enough and/or literate enough to know of the brutality that engulfed the country in the eighties? They say that Dayan took a ‘hostile position and deliberately targeted those who held a different vie to his own at the Special Session of the UNHRC in 2009. Now hostility can be read into any kind of disagreement. Sri Lanka took up a certain position, some stood with Sri Lanka and others did not. So were those against Sri Lanka’s position ‘hostile’? Of course they were. So what’s the beef here? They talk of ‘divisive lines’. Surely they know that it is rarely that any UN agency comes up with a unanimous position on anything? They are upset about the ‘unity’ of the UNHRC. Do they expect the UNHRC to always come up with 100% agreement on all matters? Interesting. As far as I can remember, Jayantha Dhanapala was the only professional diplomat who took issue with Dayan in public. Dayan responded with cogent objections. There was no outright winner in that debate as far as I can tell. Yes, Dayan was ‘triumphal,’ and that’s not very ‘diplomatic’ one can argue. However, what would these people have preferred him to do? Endorse the position taken by those who voted against Sri Lanka? Power comes, as some of the academics who signed this petition would know, from making others inhabit your version of their reality. So, for example, the USA says ‘This is what Sri Lanka is, and you Sri Lankans better believe it,’ and Dayan, then, had he said ‘Yes, sir/madam’ would be a hero? The assumption here is that those who went against Dayan were always on our side. The USA? The EU countries? India? Friends? Really? Yes, there were several resolutions that were adopted by the UNHRC against Sri Lanka. The USA was clearly the principal mover in these efforts. The USA has now called the UNHRC a cesspool of hypocrites. That was BEFORE this ‘civil’ society actors wrote this petition. So much for the lovelies whose ire Dayan earned! They conclude that the 2009 session ‘had a negative impact on the unity of the UNHRC and its impact on human rights globally.’ Wow! Dayan must have been quite a character if he could single-handedly divide the UNHRC and thereby negatively impact human rights the world over. Don’t these people have a sense of proportion, one has to wonder! Dayan failed to get the French Government from voting against Sri Lanka in these resolutions when he was Ambassador to France. That’s incompetence in their book. Now France was not the only country that voted in these resolutions. Sri Lanka has missions in most of the countries that voted. Did these petitioners, as individuals and/or as a collective call for the recall of those in office at that point on grounds of incompetence? Have they checked if some of these diplomats are still in the foreign service and if so have they called for their sacking? The petitioners say they were relieved ‘to see President Sirisena and the coalition government reverting to a more conciliatory tone where there was recognition of past abuses and the need for genuine reforms towards reconciliation.’ This was based, they say, ‘on human rights being fundamentally a domestic issue, in recognition of the rights of all of Sri Lanka’s citizens rather than a game played with the international community.’ That’s great. However, are they so blind that they do not understand that human rights IS IN FACT a game played BY the international community or rather who play it in the NAME of the international community? If it was indeed a domestic issue they should have objected to Dayan tabling the resolution and to the USA-led group for tabling censuring resolutions thereafter. They are not pushing the ‘domestic argument’ to its logical conclusion. Strange! Towards the end they talk about ideology. They claim that ideologically Dayan and that which shaped the ‘change’ (of January 8, 2015) ‘are poles apart’. Have they been sleeping since January 8, 2015. This government, today, as a coalition and its constituents is quite at odds with the January 8, 2015 ideological moment, if you will. They talk of allies. They say that Dayan had a personal agenda and it had detrimental consequences to Sri Lanka among its most important allies. Dayan does talk a lot about himself and his deeds, but that’s not the issue here. The key word here is ‘ally’. Allies are those who support you, especially when others are against you. The USA was trying the give the LTTE another lease of life, do these people know? India was never an ally. The UK, another ally? Surely, at least some of the signatories to this petition knows something of colonial history, the plunder of resources, ethnic cleansing, cultural genocide and such? Surely they know what the USA has done and is doing all over the globe in the name of human right and democracy? Of course there was ‘detrimental consequences’. On the other hand, they were never our friends, were they? Finally they warn that Dayan might damage the current administration. Are they saying that this current regime should be protected? If so, why? If so, they are in fact saying that they are worried about the political fortunes of a corrupt, confused and incompetent regime. Perhaps they should challenge Dayan to a debate on international relations, those resolutions, the supposedly fragile nature of the UNHRC or about the true meaning of words and terms such as good governance, allies, competence, domestic issues, international community and so on. Better still, they should re-read their statement with the help of those among them who teach English in our universities. They might be embarrassed but then again the learning will help in the long run. I wish to thank Malinda, who has been an ideological foe for decades, for his integrity and his principled stance. No problem.Hope you get your dream job. We should send both Dayan and Malinda to Russia ……….double the talent! nimal fernado – “Odd Couple” in double jeopardy! Stalin and Mussolini are exchanging pleasantries and praising each other! Why am I not surprised by the mutual back-patting of two of the more reprehensible of the Rajapaksa stooges? Malinda: you could probably concoct some story of my being in the pay of the British (AGAIN) in rebuttal. After all it won’t be exceptional for someone with the track record you seem determined to improve upon. Are we talking about free laptops here? Has Malinda found Rajpal Abeynayake’s wallet? NV – I believe you are referring to Rajkattapal Abeynayake’s wallet he left behind in a “restricted” area in Geneva! Not Geneva, Is it in Pattaya district of Thailand. NV – Thanks for the correction. How do you feel responding to your own comment? Happy, sicko? If you could extend your line of childish gibberish one could argue that you should look to Edappadi K. Palaniswami, Pinarayi Vijayan, N. Chandrababu Naidu, Kalvakuntla Chandrashekar Rao, H. D. Kumaraswamy, even to Mamata Banerjee in order to satiate your greed. Dayan will send you a bottle of Vodka and you can go and have a drink with your mammoty or whatever her name is. You have a problem with naming, identifying and understanding some tools hence I have given you some clues to learn, remember, understand and then type here. When did you visit your optician last? Now i get it.It is Mamate not mammoty.These indian names sound strange don’t you think,for us true sons of the soil of Sri lanka,you and me. Dayan says he will send you only a kasippu bottle.You have been a naughty veddha it seems,denigrating him continuously with your comments.You take the kasippu and go and have a drink with your Mamata .She might whip out a Morarji Cola for you from under her saree.Enjoy eternal life with her. Dr Dayan Jayatilleka ~ “……….thanks Malinda… .for his integrity and his principled stance”. Malinda Malinda watch out Malinda. Not to worry.He and i go a long way back.Then we branched out separately due to ideological differences.Dayan is a good man.He will increase our exports of tea. These two ‘educated’ idiots Dayan and Malinda are two sides of the same coin. there is huge acedemic dishonesty from those educated. YOu all promote yourselves. CIVIL Society is also the same. they are educated and they sell the country to exist. Otherwise what civil society did and what you guys discussing are CHEAP POLITICS. That fits rats inthe parliament and not anyone feeling some selfworth unless this shows that western education is CRAP TOO. Just rolling outs degrees and diplomas. they learned english and fool the whole country. I don’t think so. Some of these Civil Society guys eat $$$$$s provided by their pay masters for their breakfast. We know you are desperate to make a few unearned $$$$$s . Start a race riot, trust me its very profitable. Malinda Seniviratne claims ~ “………news broke out that Dr Dayan Jayatilleka was nominated by President Maithripala Sirisena to be Sri Lanka’s ambassador to Russia,……”. Dayan and/or GoSL neither confirmed nor denied this. Is this true? The Malinda gripe ~ “A group of so-called civil society representatives have written to the Secretary to the High Post Committee of the Parliament, urging to reject the nomination………..”. Why not organise a counter letter to the High Post Committee of Parliament. Please stress none of the naughty-naughtys got Gratiaen Prize. It is stark obvious that nobody in the group of protesters who can hold a candle to D.J..Therefore for M.S. to propose a debate is meaningless, besides the undue importace given to them in the article. President and PM keep on saying that Rajapakse regime antagonized countries that were allies of Sri Lanka and they managed to change that position and turn the unfriendly countries to allies. The question is ‘What did Mahinda Rajapakse do to antagonize USA, UK, France, Germany, Canada? Is eliminating terrorism and restoring peace for all the people in the country a crime? The only thing Mahinda Rajapakse did to antagonize these guys was not following their orders and turning towards China after these countries failed to help to build the country that was torn apart due to LTTE terrorism. 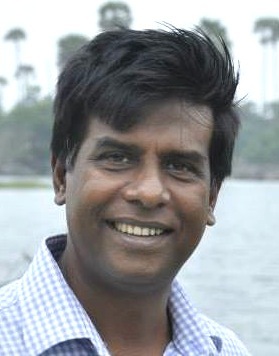 The problem with Malinda is that he has a fixation with people with education, competence in English, and aspirations to a pluralist democracy in Sri Lanka. These three are a deadly combination to him. He gets personally affronted. Poor guy, for some reason he thinks people with such qualities are superior to him. Maybe he is suffering from the “Johnny-come-lately” syndrome exhibited by some with post-1956 legacies. This defect hampers his ability to see the elephant in the room – the looming threat of the return of Rajapakse tyranny. Dayan too suffers from this same psycho-social condition but with the added misery of megalomania. These two presumptuous men waste people’s time by their endless self-important prattle. It’s this warped view of the world that made Malinda blind to recent developments in the stinking Gnanasara saga, the revolting Hitler endorsement by Asgiriye Upali, and the odious revelations about Rajapakse’s China-gate. His silence was deafening. As expected, he was waiting for his betes noires to say something. Now he’s back with his shamelessly self-righteous, nit-picking hogwash. Not only these people , i consider everyone superior to me,even you with your pseudo psychologist prattle. It’s not normal to feel that way. I thought you were mental only in the stupid teledrama you appeared in sometime back. What was the title? It was so good I can’t even remember it. Anyway … I’m digressing … so you DO have issues in real life. I wrote the above comment only in a metaphorical sense. But you’re saying it’s literally true. Sorry to hear that. But don’t worry, you’re on the right track. Gaining insight into one’s condition is the first step towards recovery. Good Luck. Politics is just a teledrama just like the one you mentioned. When you consider others to be your superior ,you get rid of your own self importance.That is what i’am getting at,but you are misinterpreting my words. I can send you a copy of “open words are for love-letting” as you seem to be a poet too.Say yes and i will post it to you.It will change your concepts of me drastically. The letter against Dayan at least proves two things about those who have singed it. (1) Personal enmity or jealousy. If their concern is about the suitability of diplomatic appointments, they should have spoken before and in general terms. (2) Their subservience to Western agenda. This is very clear the way they have criticized the 2009 resolution. Perhaps this petition marks an end of road to their professed cause, to speak on behalf of the civil society. This is unfortunate. They are revealing more and more partisan, personal, ideological and anti-Sri Lankan agendas. It would be interesting to watch how they behave in the near future. This is because Dayan was widely seen as a staunch backer of the former President and more crucially his brother Gotabaya. No problem. Hope you get your dream job. – Malinda. This is how the two Sinhala intellectuals ideology goes. Malinda says that Thro was a dedicated home aid for Old Royals. Thero says they would not take him even to their house pet, the dog. Thero says he was not respected at the job. Malinda wishes Thero to get that same dream job. What an understanding of each other between them – two blind women praising each other’s beauty! Comedy Thamai! How Thero was able to discharge the dream job when his bosses could not recognize of what was he doing? Who knows? Let’s look at Thero Ideology. He came out of UNHRC and French embassy with nightmare plagued. He was fearing of them so wrote in CT ” If you are fearing of them it doesn’t means they cannot get you; they know to get you.” Certainly Thero was relived on the day he quit French embassy. Ambassador Job was not his dream, but nightmare. Then why this is “Here we go again”? If a black widow’s husband escaped one time, it doesn’t guarantee he can stay out of her after that misidentified nightmare as dream. Is really, Thero’s nature is cool diplomatic? Malinda had ensured that he would not inform of that. The protestors took some examples and said Thero’s performance was not desirable on those occasions. Say that protestors took UNHRC Malinda just aimlessly attached UNHRC, but did not talk about Thero. Here we go Finally they warn that Dayan might damage the current administration. Are they saying that this current regime should be protected? If so, why? . Malinda just concluding Thero who does talk a lot about himself and his deeds may damage the current administration. Aimlessly, Malinda attacking the Lovelies, USA, India, UK, UNHRC, UN, other signatories….. but did not talk about Thero. Can somebody tell that Malinda has pointed out a trait of Thero as suitable for Diplomat job? No! Why? Either Malinda does know of it but just want to attack the Signatories or Thero doesn’t have one or both. He is just asking “Are all other ambassadors more competent than Dayan?” Because some are incompetent already there, nobody can oppose any more incompetents? The question of competency did not come in the letter. The latter was talking about his orientation and associations. 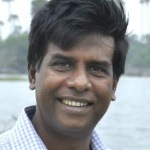 When Thero left diplomatic job Tamara, Rajiva and he, the three narcissist stooges were out as a union and attacking all –UNP -SLFP-JVP-TNA….. Thero attacked Old Royals during 2015 EP election supporting Ranil, to show his disappointment with Old Royals. Then he went and join with them in Nugegoda meeting. But still was attacking Old Brother Prince as he who fired Thero. Then, when he understood 19A, he started to support Prince because of fearing that he would be the next president. When America announced that Brother Prince may not just throw away the US citizenship, Thero started to attack back again Bother Prince thinking he cannot become EP. Just tricky and cunning! Thero failed to identify who would be his good friends. He was never true to his friends. He lacked foresightedness and resolve to diplomatically and firmly deal with outstanding issues. Thero was proposed to Russian Ambassador, because of his Castro Communism. Some opinions were Thero was born with Padded buttocks, so the kicking boots don’t take back hard jerks. With Gotler coming into power in 2020 if uncle Sam agreed to release him with the US Citizenship, your stay will be less than 2 year and get the best out of this. Yahapalanaya bought over Dayan could be a Trogen horse given his track record of changing first his name then to Premadasa, then became an EPRLF per then Rajapakse acolite and now Sirisena man. This is Srilanka politics. This same way UNPer Nivard Cabrall the UNP defeated candidate changed parties and became the Governor of the Central Bank supposed to be held by an independent person. Is there anyone who could stop this merry-go-round. We might have to visit Asgiriya temple in Kandy to consult very Rev. Vendaruwe Upali for a sermon. Isn’t this how Sirisena trying to build bridges with the Joint opposition? Is Dayan still supporting JO or SLFP or none? I really like Malinda’s poetry. Not sure why he wastes time writing about a dj who can only spin a disc with repeating grooves. Whoever RW may be – how can a man who slanders and hates the prime minister of his country be appointed as an ambassador? that’s my point as well. Malinda wrote a lengthy letter supporting DJ when you should ask the above question himself. Malinda, Dayan, Commentators – TRUTH Matters! Diplo-MUTTS are appointed to twist the TRUTH. Persona they defend are unimportant – The Truth of the matter is we have a cabal operating here in Sri Lanka -linked to the International Cabal. Cleaning the Swamp means exposing the cabal – which is currently being done. Internationally, the super-rich cabal has had a good portion of their assets frozen. Think Soros, Think Bin Talaweed. Methinks the job offer is a hoax. Possible to enlighten us? I suspect he planted the story in order to revive interest and tell his masters that he is still in demand. Why would any sane minded people employ him. Would you buy second hand car from him? I wouldn’t even thinking of buying an ice-cream from this public racist.